After a night of being drenched and sent to the car to catch some zzz's, the Harrington's took their time getting their act together in the morning, enjoying donuts and coffee (for Melissa) while waiting for the sun to do it's work on drying out tents, sleeping pads and sleeping bags. By the time caffeine was coursing though Melissa's veins, all important items had dried out sufficiently and the Harrington's opted to move forward with their plan to approach Hallasan, Korea's tallest mountain peak coming in somewhere over 6,000 feet. Taking into account their location and later-than-prescribed-starting time, the couple decided to go with the shortest of the four trails and began putting along in the Matiz, ready to tackle this island's volcano. As the Harrington's approached the trail head they were re-introduced to the slow and steady pitter patter of raindrops that had thwarted their sleeping arrangements the night prior. 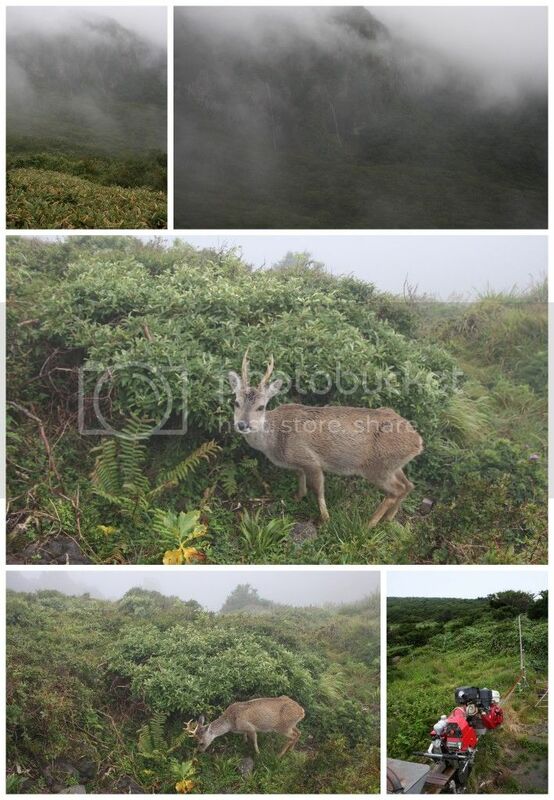 Committed to the climb, Mike continued forth and opted to go for the top regardless of less than ideal weather. Melissa, however, with her distaste of being sopping wet and considering the needs of her pup which was forbidden on the trail regardless of weather took the day to sit, relax, read and charge phones and Kindles while sipping hot cups of honey citrus tea. 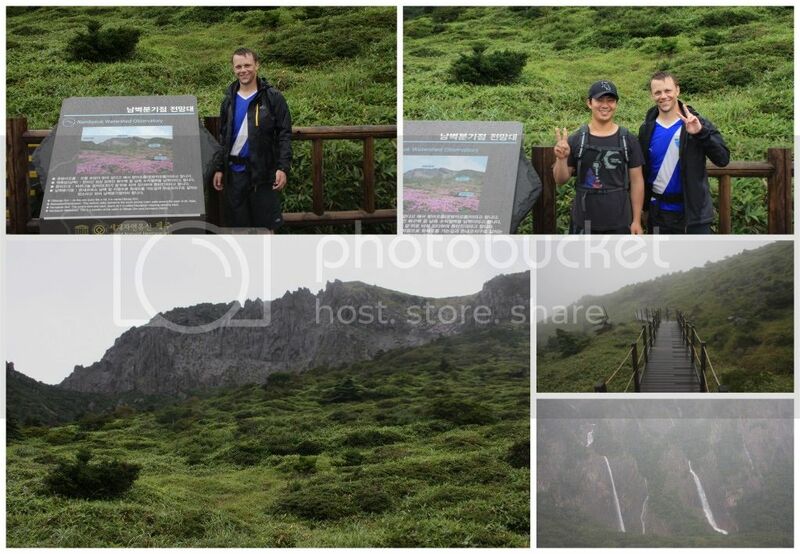 Meanwhile, Mike made his ascent while soaking in more of Jeju's rain as if he hadn't gotten enough the night before. 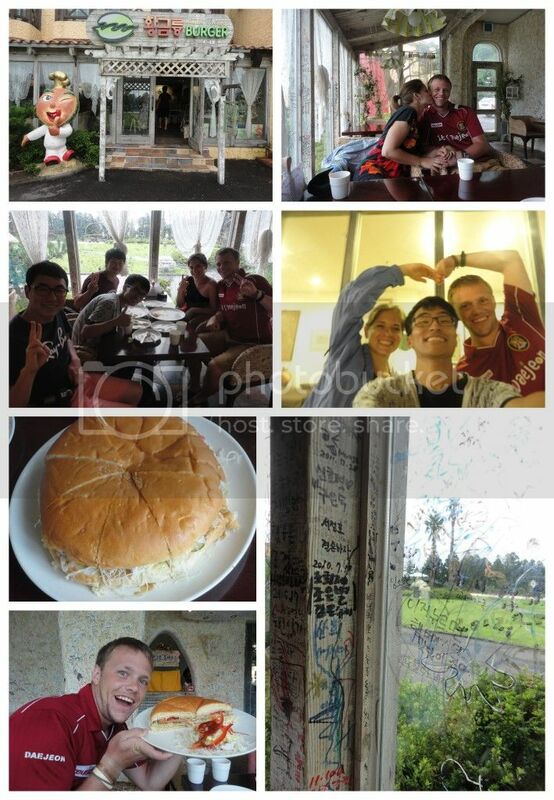 Highlights of his trip revolved around running into a 'Korean' deer as well as befriending a set of three Korean men who were equally soaked and good-natured about the weather of the day. Having enjoyed a burger, complete with lettuce, apples, pork and a series of other toppings it was time to bid farewell to these new found friends and make way for a camping location with sufficient shelter...just in case.